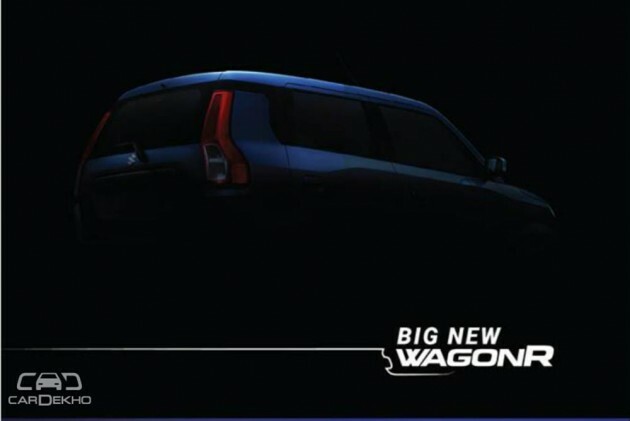 New Wagon R will be launched on January 23. It will be available with 2 engine options: 1.0-litre and 1.2-litre. Neither of the engines will be available with CNG at launch. Maruti Suzuki is set to launch the new WagonR on 23 January 2019 and thanks to a previous leak, we now know that it will be available with 2 petrol engines: 1.0-litre and 1.2-litre. What we also know is that both the engines will be available with an AMT gearbox in the V and Z variants. But the brochure leak didn’t mention whether the WagonR would get a CNG option or not. CarDekho can now confirm that Maruti Suzuki won’t offer a CNG option with the new Wagon R 2019 at launch. While the CNG WagonR is popular in the commercial space, a lot of private buyers (in cities where CNG fuel is available) also prefer it owing to its low running cost. In the existing WagonR, Maruti Suzuki offers the CNG kit fitted from the factory in both L and L (O) variants. The WagonR CNG Lxi is priced at Rs 4.73 lakh while the WagonR CNG Lxi (O) is priced at Rs 4.92 lakh (both prices ex-showroom Delhi). The incremental cost of the CNG WagonR over regular WagonR ranges somewhere between Rs 40,000 to Rs 50,000. The existing WagonR is available with a 1.0-litre petrol engine and its CNG version also gets the same engine. This engine makes a maximum power of 68PS on the pure-petrol version, but the power output of the same engine drops in the CNG version to 59PS. The new WagonR is also available with the same 1.0-litre engine with 68PS output. We expect Maruti Suzuki to offer this engine with CNG option later in the new WagonR as well. The 1.0-litre engine on the new WagonR will be available with both L and V variants, and with both manual transmission and AMT. We’re certain that Maruti Suzuki will offer CNG in the L variant, which will be primarily targeted at the fleet operators, but what remains to be seen is whether Maruti Suzuki offers the higher variants, especially with the AMT, with CNG option this time or not. There’s also a new petrol engine on the WagonR range now, a 1.2-litre unit which makes 83PS of maximum power, same as in the Ignis. While this engine might not come with CNG initially, going forward, the government plans to push CNG as a cleaner alternative fuel to petrol and diesel and Maruti Suzuki might plan to offer even this more-powerful engine on the WagonR with CNG fitted from the factory. The 1.2-litre engine that we’ll get to see on the new WagonR is also available on other Maruti Suzuki cars like the Ignis, Swift and Dzire in the same state of tune, but not with CNG option. Maruti Suzuki will introduce CNG in the WagonR at a later stage, like the carmaker plans to do it with the new Ertiga. More importantly, the current CNG model of the WagonR will also not stay on sale now. 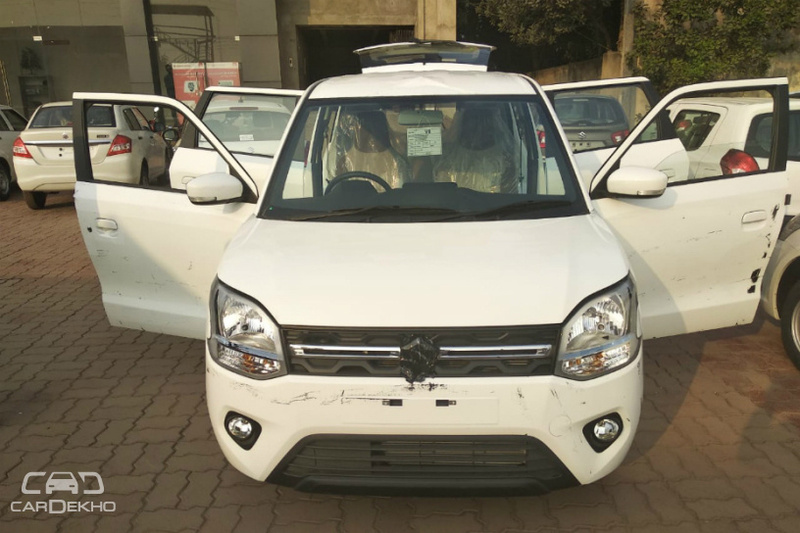 We expect the new Maruti Suzuki WagonR to start from somewhere over Rs 4 lakh, which means the most affordable variant of the CNG WagonR would be priced above Rs 4.5 lakh, around the same price as the current model. If you are looking to buy the CNG WagonR, either go for the current car or be prepared to wait it out.